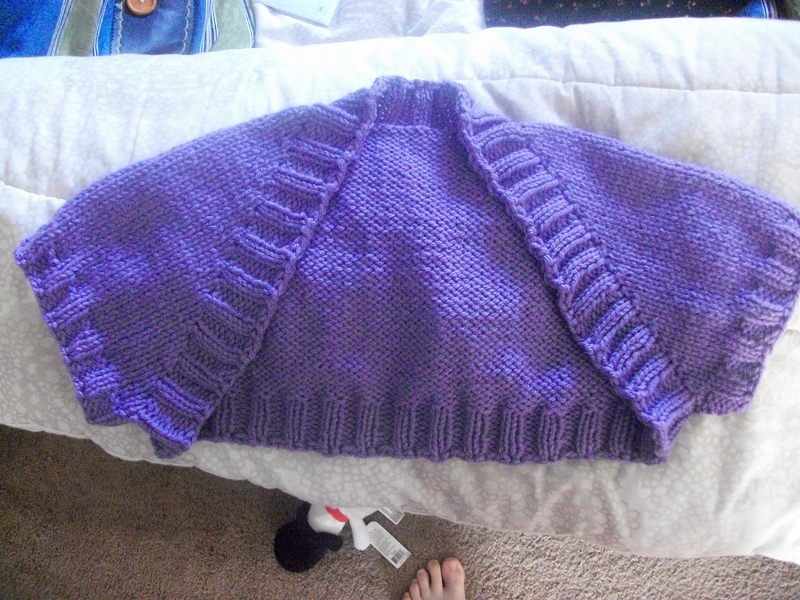 It had been a while since I had knit a piece of clothing. 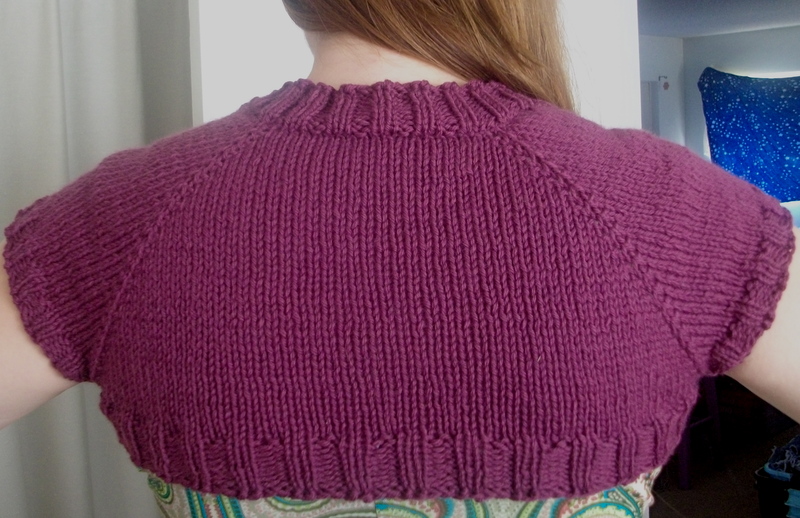 In fact, it’s been a while since I’ve made any kind of clothing. So I was looking for something quick and cute to start with. 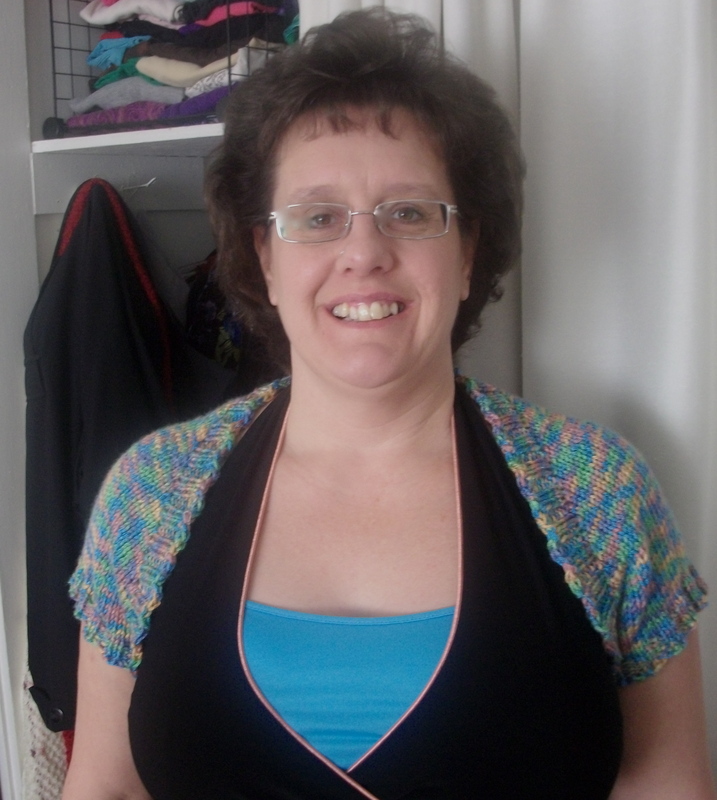 Then I joined Craftsy and saw the One Skein Knit Shrug workshop by Stephanie Japel. 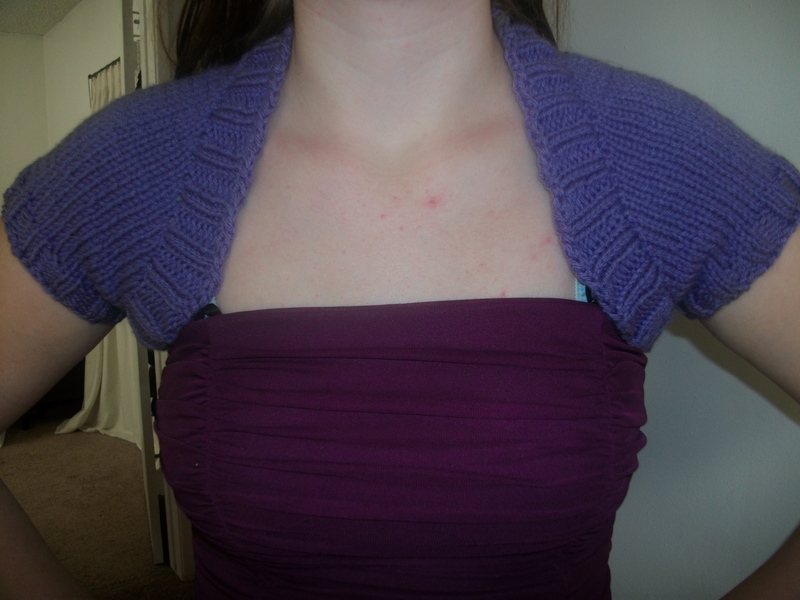 It was cute, and only used one skein of yarn. 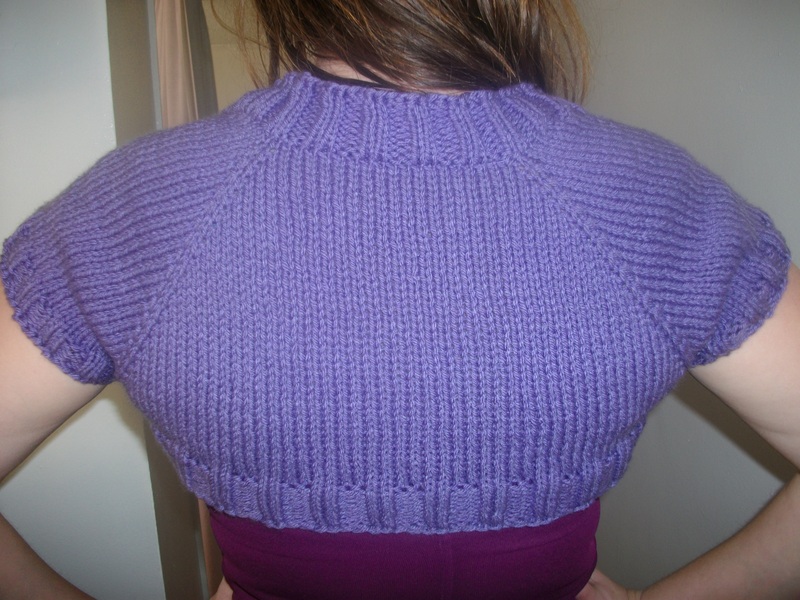 In fact, I actually bought the Cascade 220 yarn (in Plum) suggested for the first one. I never buy the suggested yarn (unless I’m using the pattern on the inside of the wrapper). 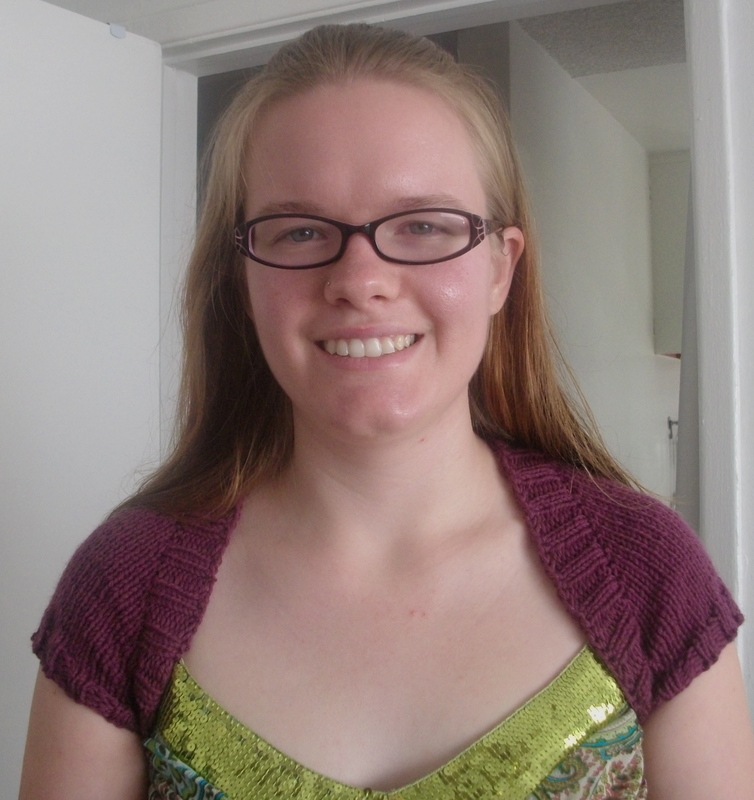 Once I got the yarn in the mail, I made the first one. Then ripped it out after having to cut myself out of the sleeves because I had misread my measurements when checking the gauge. 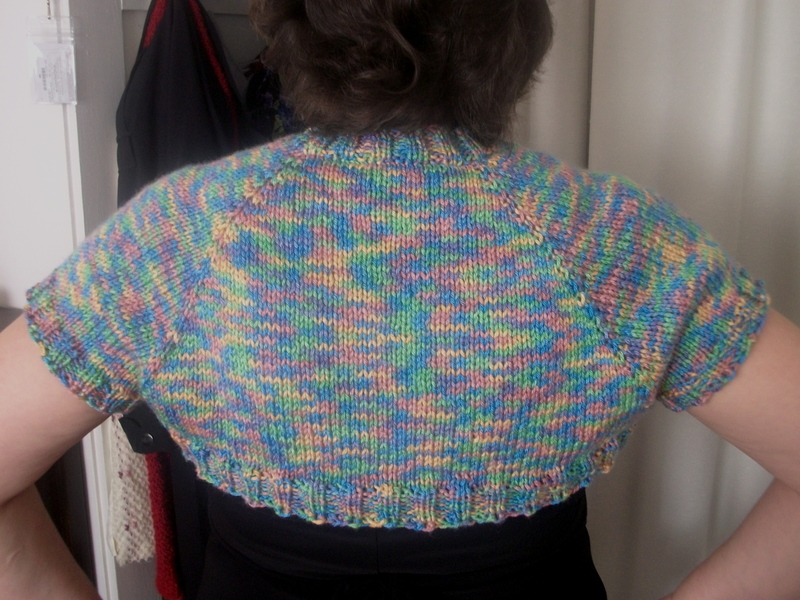 But I re-knit it quickly and even managed to make another one before the end of the week for a church auction. 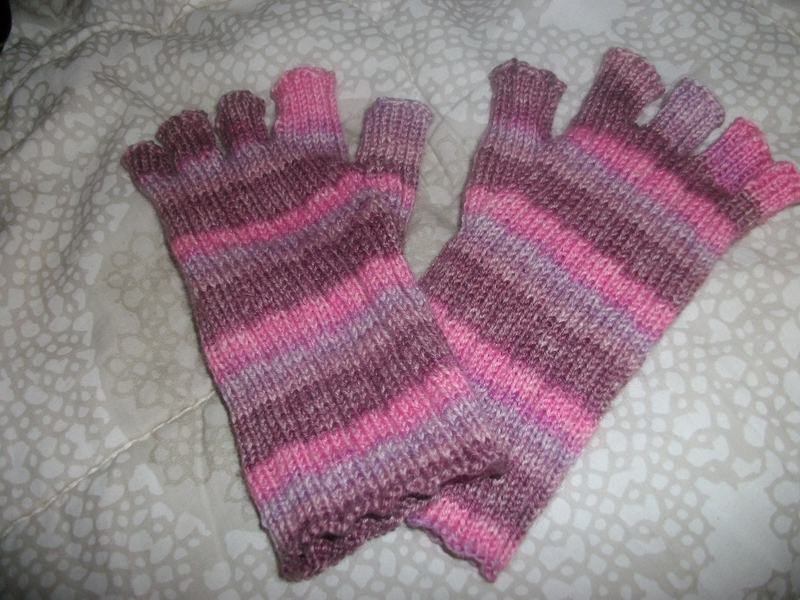 I made the second one of some Lavender worsted weight acrylic yarn I had lying around. It got finished just a few hours before the fundraiser. My mom liked them so much she requested a colorful one to be able to wear with a bunch of outfits to work. Her office is can be a bit chilly in the summer. Now I have to get to work on a silver and blue one with blue eyelash yarn for her gala at the end of the month. I have two weeks. No worries (yet). 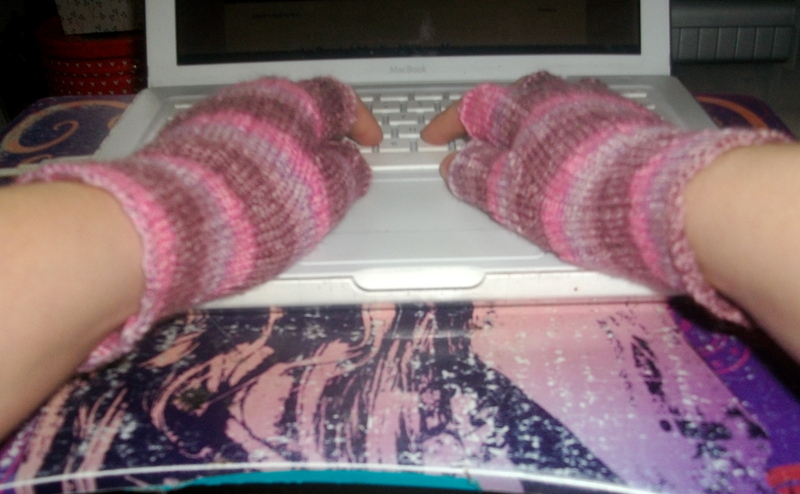 When is the last time you made an article of clothing? What was it? Anyone else on Craftsy?